Success in web development depends on one’s ability to learn new skills, practice, and then learn some more. PHP frameworks are widely known as functional platforms that help developers to make complicated applications easily and quickly. Here we shared the best PHP framework out there that will help you increase the productivity and complete projects with minimal effort. Laravel is still the most widely used PHP framework by PHP developers. 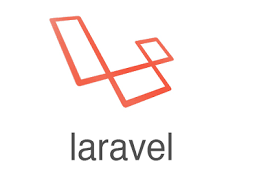 A relatively new framework, Laravel provides an immense ecosystem with an instant hosting and deployment platform.This framework has undoubtedly made web development effortless and fast. This is also one of the oldest frameworks which have retained the strong user base and still it is growing at a significant rate. It offers fast and reliable development solutions. The latest version of CakePHP is 3.0, with magnify session management, improved modularity and have the ability to create more standalone libraries. This framework is known for its easy-to-understand framework and for the speed of its templating process. Yii 2 is a framework based on OOP is also combined with jQuery and has enabled AJAX features. 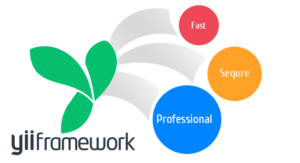 The features offered by this framework includes the faster performance in comparison with other frameworks.Excellently developed with quality documentation in a short span of time, the applications developed using Yii gives awesome user experience and features. 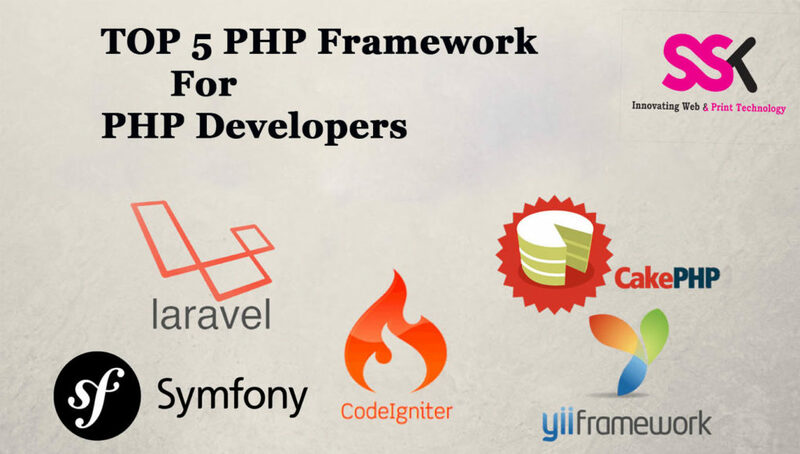 Among the most popular frameworks of PHP, Symfony is one of them. It is adaptable, versatile and intense PHP framework for MVC application. It is powerful and helps to reduce the problem of repetitive coding structure. The reason for its popularity is quick adaptability and widely used documentation which makes it one of the most dependable PHP Frameworks. 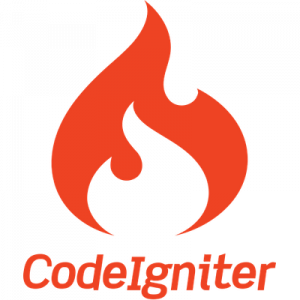 CodeIgniter is a light-weight PHP framework with a very straightforward installation process and requires minimal configuration It provides easy learning curve to the developers, In fact, it has the ability to support next generation of application development that requires simplified coding, which attracts a lot of beginners. The Most popular PHP framework listed above.SSK Web Technologies guide you which framework suits you the best and come up with optimal solutions for our client business.Our experts that excel in the above-mentioned frameworks to provide best web development solutions. SSK Web Technologies is a Professional web development company in Coimbatore.Our services are web design, web development, mobile app development, logo design brochure design. Excellent post. I was checking continuously this blog and I am inspired! Extremely useful information specially the ultimate part 🙂 I deal with such information a lot. I used to be seeking this certain info for a long time. Thanks and good luck.